Featured amenities include complimentary newspapers in the lobby, dry cleaning/laundry services, and a 24-hour front desk. Planning an event in Sibiu? This hotel has facilities measuring 2475 square feet (230 square meters), including a conference center. A roundtrip airport shuttle is provided for a surcharge (available 24 hours), and free self parking is available onsite. Set in Sibiu, less than 3 km from the historical centre, Hotel Eden offers a restaurant, an on-site bar and a terrace. Private parking is available, free of charge. All units are fitted with free wired internet, a flat-screen cable TV, a minibar and an en-suite bathroom with a shower, a hairdryer and free toiletries. Some rooms also have a balcony. Bathrobes, slippers and amenities are available upon request. 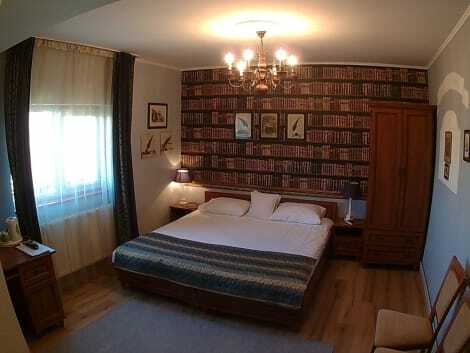 The nearest bus stop is 100 metres from Hotel Eden and the Sibiu Train Station is 3 km away. Shuttle transfer to the airport is available at a surcharge. Make use of convenient amenities such as complimentary wireless Internet access, concierge services, and a banquet hall. With a stay at Horeum Boutique Hotel in Sura Mare, you'll be within a 15-minute drive of Sibiu Tennis Academy and Liar's Bridge. 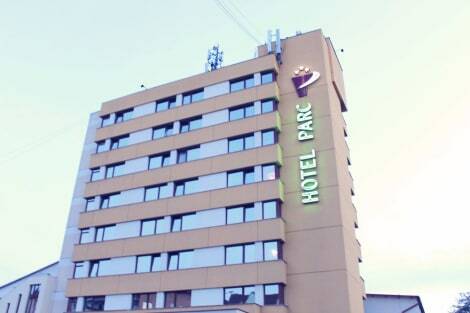 This hotel is 4.9 mi (7.9 km) from Council Tower and 5 mi (8 km) from Piata Mare. Located in the Centre of Sibiu, just steps from both the Large Square and the Small Square, The Council Apartments is a homestay offering free WiFi and air-conditioning. The unit enjoys city views and features a flat-screen cable TV, a seating area with a sofa, a wardrobe and a private bathroom with a shower, a hairdryer and free toiletries. A supermarket can be found in the same building, while numerous restaurants and bars can be reached within walking distance. Public parking is possible nearby, at a surcharge. The Sibiu International Airport is 7 km away. Quietly located in Sibiu, a 15-minute walk from the Old Town, the Great Square and the Bridge of Lies, Pensiunea Hugo offers a bistro, free WiFi access and air-conditioned rooms. The rooms at Pensiunea Hugo also provide a flat-screen cable TV and a bathroom with shower, hairdryer, free toiletries and bathrobes. Some rooms have a balcony. The property features a 24-hour front desk, a bar and a terrace. A grocery shop is just beside the house. A bus stop is reachable within a 5-minute walk, the Sibiu Train Station is 2 km away, and the Astra Museum is 4 km away. 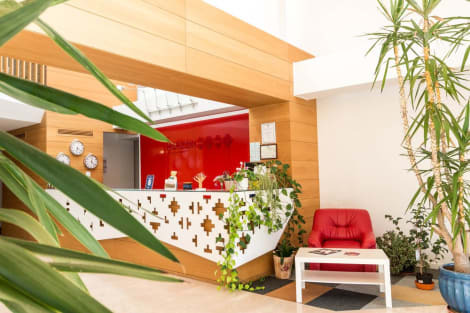 With a stay at Ibis Sibiu Centre in Sibiu (Center), you'll be steps from Radu Stanca National Theater and 9 minutes by foot from Holy Trinity Cathedral. This hotel is 0.9 mi (1.5 km) from Brukenthal National Museum and 1 mi (1.6 km) from History Museum. At Hotel Imparatul Romanilor, enjoy a satisfying meal at the restaurant. A complimentary buffet breakfast is served daily from 7 AM to 10 AM. A complimentary buffet breakfast is served daily from 7:00 AM to 10:00 AM. lastminute.com has a fantastic range of hotels in Sibiu, with everything from cheap hotels to luxurious five star accommodation available. We like to live up to our last minute name so remember you can book any one of our excellent Sibiu hotels up until midnight and stay the same night.